Lenovo has announced new additions to its range of professional notebooks announcing the imminent launch of the new Thinkpad P1 and P72 laptops, both of which will be available to purchase towards the end of August 2018 priced at $1949 and $1799 respectively. 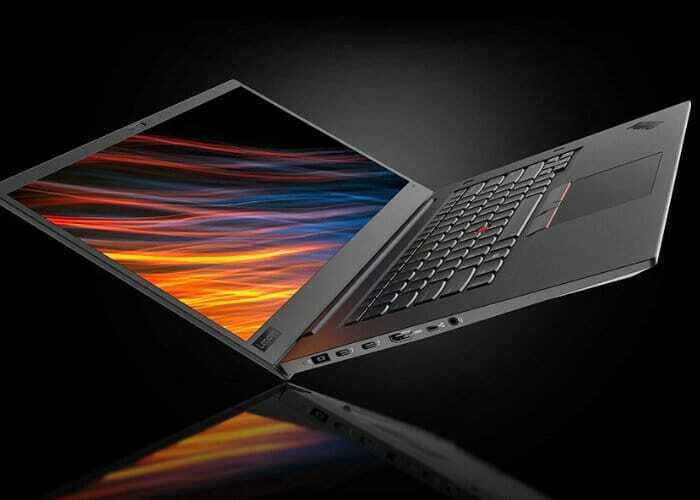 Measuring just 18.4 mm in thickness and weighing 1.7kg the Thinkpad P1 laptop is equipped with a 15.6-inch 4K touchscreen display offering users a resolution of 3840 x 2160 pixels and covers 100 percent of the Adobe colour gamut says Lenovo. Internally the laptop ranges equipped with a choice of 8th Gen Intel Xeon processors that can be supported by up to 64GB of RAM and a Nvidia Quadro P2000 GPU. Storage is provided in the form of a 4TB within the Thinkpad P1 or a massive 6TB of storage in the Lenovo P72. The Lenovo P72 laptop offers a selection of hexa-core Intel Core or Xeon processors for users to choose from which can be supported by, up to 128GB DDR4 memory, Nvidia Quadro P5200, and the 17.3-inch screen comes in at 4K resolution. Rob Herman, General Manager of Workstations, Lenovo explains a little more about the new laptop systems. “When we set out to create the ThinkPad P1, we knew our challenge was to build a mobile workstation that would carry the legacy of professional power and reliability of our ThinkPad portfolio, but also meet our customer’s need for a thin, light and sleek design,”- “Whether you are looking for power, the lightest mobile workstation around or sleek and slim tech-envy, the ThinkPad P1 delivers on all counts, period.” For full specifications and availability later this month, jump over to the official Lenovo website.